It's Xmas at Starbucks! 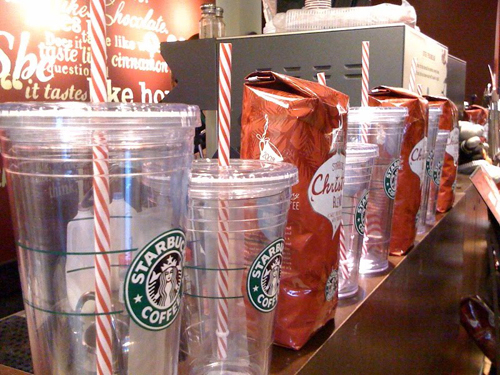 I love the cold drink cups with the candy cane straws. I already have a cold drink cup so I can't justify getting another for the straw but they sure are cute. 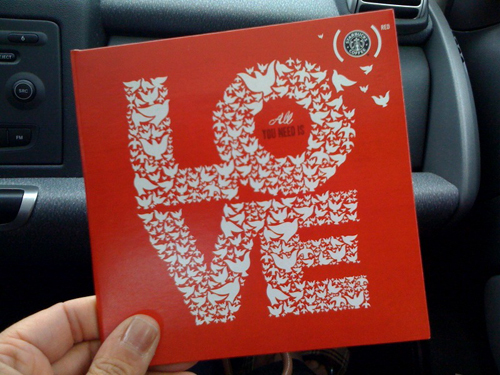 When you make a certain dollar amount purchase at Starbucks you get this Xmas CD. One trip picking up coffee for office mates and I had one. Would it be back to admit that I now have two venti-sized and two grande-sized cold insulated cups for myself? Because I do. But I did by one or two to give away for Christmas. I just love them because my cold drinks don't leave rings of water whereever I set them.